aekaraCLE had the most liked content! Excited for this draw! At this level, all teams are high quality. But, we dodged some major bullets! Now, we need a few more signings and we'll he ready to compete for 2nd or 3rd in group! 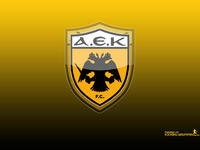 FORZA AEK!!!! Yiankos, I live in Cleveland. Actually, the scoreboard and our trophy case say differently. At the end of the day, banners and trophies speak for themselves! Scoreboard says.......no defending that AEK were the best team in Greece! As we say in the States, "Scoreboard." That's all that needs to be said. No defending of being champs; the trophy that we get on May 5th speaks for itself. Haters gonna hate.....I cant hear out my left ear, the 2018 Championship trophy is plugging it. I cant wait to stick the Kypello in the other to mute all the complaining/ hating PAOK fans. I see most PAOK fans are still drinking the hater-ade........keep drinking that kool-aid. At the end of the day, you all lost the championship on your own actions. Own it, and move on!!! It's been a special year for AEK! Let's get the double! I've got my champagne on ice.......can't wait to pop the bottle soon.......Aekara! Guys, it's been fun voicing opinions, and listening to all sides of this saga. By the reaction in these forums, one thing is certain, we all want to see soccer prosper in Greece. We love the game, our teams and the competition. If you look at what's happened in the past 45 days in GSL, it's absolutely insane. Not looking back to prior years, but just focusing on the current state. I'm not speaking as an AEK fan right now, and I hope you read this with neutrality, and not with your teams colors. The incidents at Toumba for the past 2 home games are of no fault of the visiting teams. Against Oly, no matter what the object was that was thrown, iit was unfortunate. The rules of the league clearly stated what the repercussions are for breaking the rules. PAOK was given a -3 point deduction, then 2 home games without fans. Remember, earlier in the season, Olympiacos was given the same punishment for mismanaged fans against AEK. In a turn of events, less than 18 hours before the match against AEK, an appeal was granted where points were given back to PAOK AND fans were permitted to attend the game. So, the evening prior to the game, AEK went to bed being 5 points ahead, and the expectation of no fans. We all wake up on Sunday to the news of the change in the ruling............. Fast forward to the derby, and we all saw what happened......an owner and general manager invade a pitch! Players confirm that threats were made towards the referee by PAOK officials; images of a gun holstered on the waist of the owner.......chaos...... Now, if we are unbiased in reading the events listed above, how in the world would anyone expect ANY team from any part of the world, to come back onto the field and finish the match?! How can we expect the referee to officiate the final minutes of the game, after what happened earlier? I didn't even list the fact that a goal was allowed, disallowed, then allowed again; since it has no bearing on the situation of the pitch invasion. PAOK made their bed; now they must sleep in it. No finger pointing, no excuses, it's been happening all season. When will you hold your team/officials/fans accountable for their actions? When will we expect the league to uphold the rules, that are written in black and white? This is the very reason that we've become the laughing stock of the soccer world. The fact that Olympiacos has had their appeal postponed for over 30 days is another laughing matter. Will I be shocked if they are given back their 3 points; no. The league gave PAOK back their points, so what's the justification to deduct from Oly? Rules are rules, right?! !